Whether you plan to head towards the mountains, drive on the highways or spend a day driving around Addison, IL, the 2019 Ford EcoSport can take you anywhere. 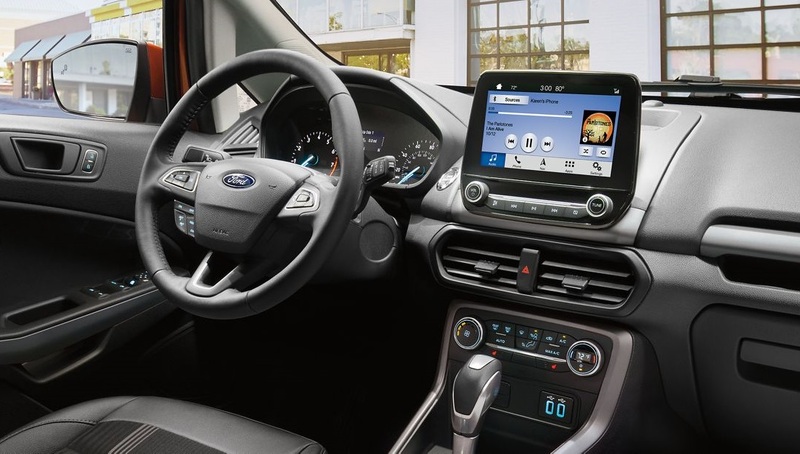 A spacious cabin, powerful engine, stunning design, and optimum fuel economy along with various entertainment features are what you get with your all-new 2019 Ford EcoSport. Be sure to see all of the Ford EcoSport's features below and feel free to come and test drive it here at Roesch Ford! 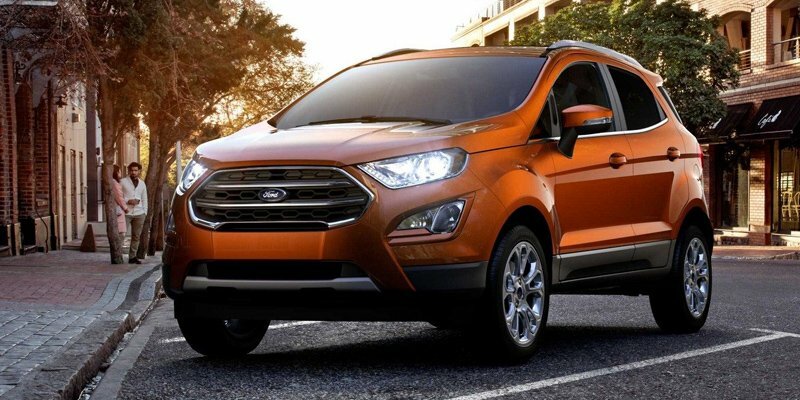 2019 Ford EcoSport is launched in the following four trim levels: S, SE, Titanium, and SES. All these trims provide excellent driving performance. They are either front wheel drive or four wheels drive enabled with a six-speed auto transmission. During the free test drive, we will guide you through each and every feature of this beautiful crossover. 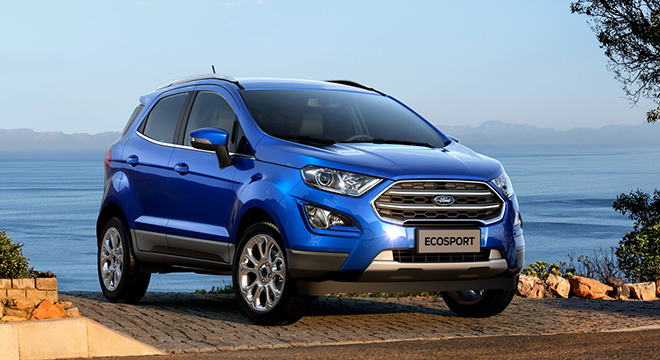 Roesch Ford assures you that with the impressive performance of 2019 EcoSport, you will become a true fan of it. The 2019 Ford EcoSport is not only capable of driving in all sorts of weather and pavement conditions, but it also keeps you highly comfortable and connected around the world on the go. With its wide 8-inch touch screen with two USB ports and enabled Wi-Fi as well as 4g data connectivity, it will never let you down. The EcoSport has performed quite well in Crash Tests. Equipped with plenty of safety features, this Ford EcoSport will have no problem keeping you and your family safe. Ford itself is a brand that produces cars, SUVs, and trucks with keeping drivers’ and passengers’ safety as a top priority. The 2019 Ford EcoSport scores well on all safety tests. It has the modern features you could ask for in a 2019 Crossover SUV. 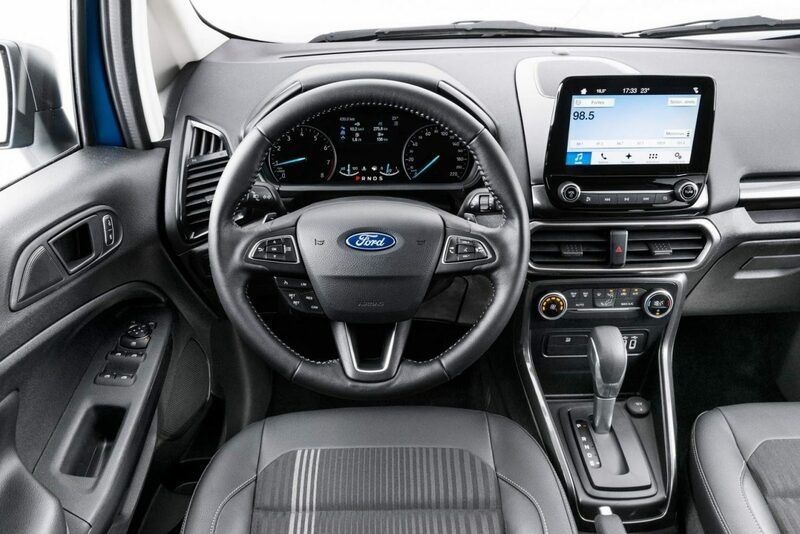 Let's now consider the Ford EcoSport's interior spacing and cargo capacity. Although it looks smaller than many crossovers and compact SUVs, it is in fact very roomy inside. Four adults can easily fit and be comfortable. Why Test Drive A Ford EcoSport at Roesch Ford? Roesch Ford is the focal point and the biggest source of new vehicles and pre-owned vehicles near Addison, IL. Our dealership is committed to providing our valued customers premium services at unbeatable prices. If you are a native of Addison, IL, Bensenville or any suburbs around it, Roesch Ford is here to serve! Our dealership is a one-stop shop that can fulfill all your automotive needs. So, feel free to come by and test drive the 2019 Ford EcoSport today!